The data released during the anti-doping symposium organized by the International Association of Athletic Federations showed a very sad reality: 25% of all vitamins and supplements on sale are spiked with anabolic steroids and people use them without supposing anything about it. This is subject of interest not only for bodybuilding community as for all people of all ages. Ordinary individuals, who need supplementation or vitamins go to pharmacy and buy these products with a strong feeling that this is right and they goanna be useful. Whether this is young mom, an adult or a teenager, all of the risk to get in trap of misinformation and face unwanted health issue. Over the last time there was much reclamation on serious side effects as hair growth on women, liver problems, heart problems or impotence causing specialized institutions to take a closer look over the nutritional supplements market. Back in 2006, doping experts have signaled the problem of supplements tainted with steroids. Eight years later situation has not changed dramatically much as we get constant warnings about popular vitamins and supplements being contaminated with body performance enhancement drugs. In 2009, a report of US National Institutes of Health Nutritional announced that from 634 no hormonal nutritional supplements that were purchased in 13 different countries, 158 of them were contaminated with anabolic-androgenic steroids. The study was performed during 2001-2002 years and showed that the biggest part of supplements faked with steroids came from Chinesemanufacturers. In july, 2013 FDA warned us that a vitamin B dietary supplement called B-50 contains two anabolic steroids and has been cited as causing unusual hair growth in women and impotence in men. Food and Drug Administration (FDA) collected samples of the product and discovered the steroids after regular tests. And there can be listed many other warning signs we got over the time. The simple question that i have in mind is how many products miss to be tested or for how long they are administrated by people until they are proved to be dangerous for health?! Pretty sure, there are still a bunch of products not tested yet by FDA and are largely sold on pharmacies. The worst is that with time, the practice of tainting supplements with steroids has become even more popular. So that today larger amounts of banned substances can be found in nutritional supplements while users have no imagination of what they contain. According to what is stated on label there are safe products, containing only natural and acceptable substances. But you will never know their true composition. Not less important is the cross-contamination of supplements and vitamins that have to worry us in the same measure. Not only nutritional supplements and vitamins are spiked with steroids. Weight loss pills or sexual enhancement supplements are also intentionally contaminated with steroids. There are many risks for a person who is unknowingly ingesting these products, especially if they have or are prone to heart, liver diseases or baldness. The main reason behind this is money. How this can be explained? When taking a supplement you want it to show maximum effectiveness. If you lose weight, you want to do it fast. You want to build a better physique as soon as possible. We all look for fast results, whatever it is about. The supplement which proves to give best result is the one you will choose. The more powerful is the supplement, the higher chances for it to be tainted with steroids. 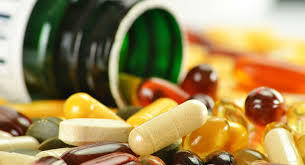 Normally, supplements contain substances of natural origin, so they cannot do wonders overnight. They are just a spark in the whole process. The more potent is a supplement, the higher demand for it, the better it is selling. So, to increase sales manufacturers resort to such trick. The biggest concern has to raise supplements that come from new brand company, because reputable ones, with years of presence on the supplement market have fewer chances to risk this way. FDA try to keep under control the supplements market, but this will never be enough to be sure no fakes are around. The best would be to do your own research before buying anything. Avoid cheap, unknown origin source supplements sell on the corner of the street or by first time met guy. Most probably, these are low quality products that put your health at risk. Instead, look for authority manufacturers in this field and check what other users have to say on their products. A high number of positive reviews is a sign that this products could be trusted. But even so, you cannot be 100% sure about it ever. “Are supplements tainted with steroids?” In many cases yes. But you are not told to avoid supplements use at all. They can help you to enhance your body weight or lose fat effectively. What you are advised is to choose them more rigorously and be aware of this fact. Stay informed and stay healthy!